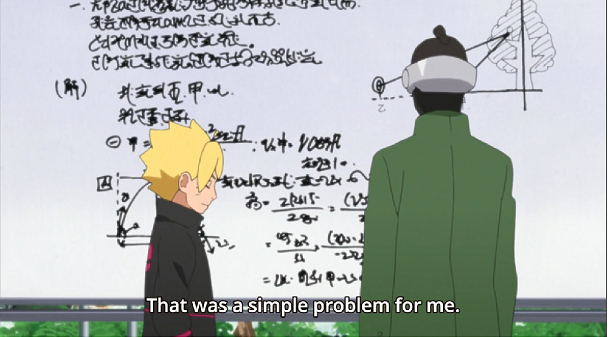 In episode 5 of Boruto, we see Shino-sensei testing Boruto on "Ninja Academy Math" or something along those lines, but when I look closely at the texts, they don't seem like the usual Japanese characters to me. I admit that my Japanese is not good but from the numerous anime that I have watched, I feel like I can differentiate the more commonly used kanji when I see them. But then I noticed that none of the ones there are distinguishable to me. Does this have to do with Japanese math and numbers? This is only a partial answer, which I'm posting since it seems too long for a comment: I don't know Japanese well and I haven't followed Boruto at all so don't know about the language used in-universe. However, I have some knowledge of kanji from knowing a modicum of Chinese. To me, some of this writing looks close enough to recognisable kanji, albeit kanji written quickly and sloppily. 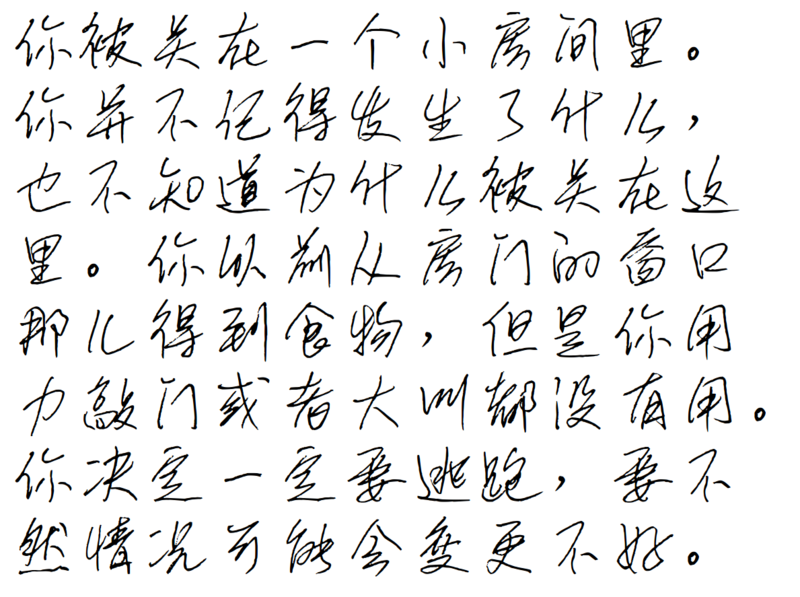 (Here are some examples of such handwriting, both in Japanese and Chinese: 1, 2. A web search for messy chinese writing generates some fairly good examples in Chinese. I had less luck trying to find explicitly Japanese examples from a quick search in English. Many of the results that appeared were from foreign language learners, whose bad handwriting probably resulted from lack of familiarity with kanji as a whole.) For instance, I can see something that looks like 解, which would be referring to the solution for the problem, on the left side. I can also see 甲 come up several times, but I don't know what it would be referring to. Some of the writing also appears to be Latin/Greek characters used in maths: Vx written in a cursive style is on one of the top lines of the solution. Not the answer you're looking for? Browse other questions tagged japanese-language boruto or ask your own question. Why does Kumagawa talk in Japanese quotation marks? Does the Chobits title “ちょびっツ” intentionally look like the word “STUDY”?